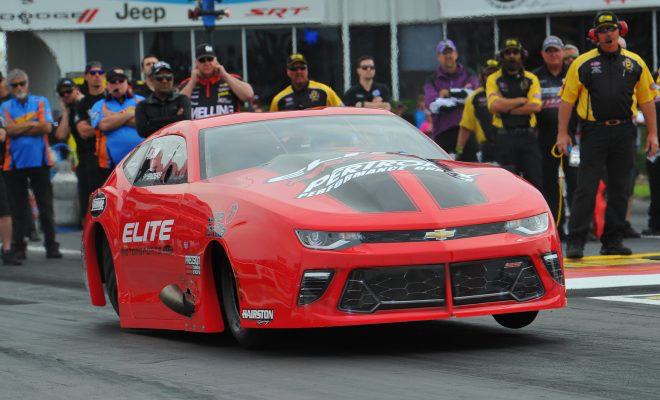 A year ago, Erica Enders was drawing names out of a hat and making bets with her team on who would win the inaugural DRAG ILLUSTRATED World Series of Pro Mod. This year, she’s betting on herself. 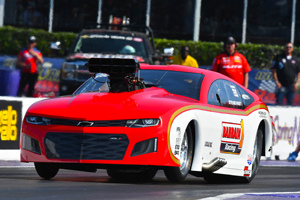 The two-time Pro Stock world champion has officially thrown her name into the hat as a participant in 2018, as Enders will compete Aug. 10-11 in the World Series of Pro Mod at Bandimere Speedway. Enthralled with the high-stakes, winner-take-all Pro Mod action of the inaugural race in 2017, Enders, who made her NHRA Pro Mod debut earlier this year, literally jumped at the opportunity when handed the invitation by Drag Illustrated Founder and Editorial Director Wes Buck. Oddly enough, Enders drew WSOPM winner Mike Bowman’s name out of the hat during her team’s friendly wagers a year ago, though her prize fell well short of the $100,000 Bowman took home in 2017. 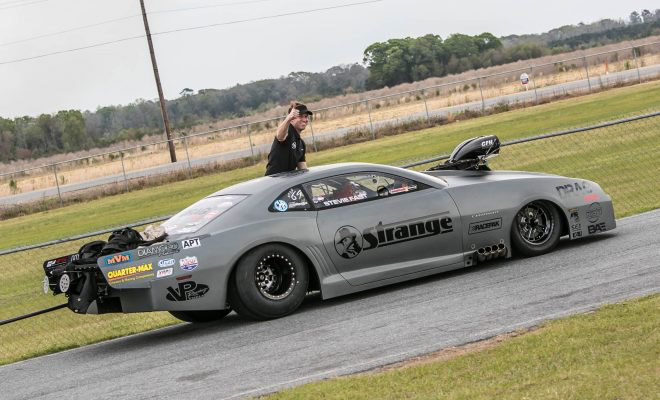 Harry Hruska has seen big-time races, been a part of them and, since jumping behind the wheel of his turbocharged HPL Oil Camaro in 2017, has now raced in them. For him, though, there’s one that stands above the rest and Hruska is headed there for a second straight year. It’s the DRAG ILLUSTRATED World Series of Pro Mod at Bandimere Speedway, where Hruska will compete alongside 31 other Pro Mod stars for the $100,000 winner-take-all prize on Aug. 10-11. In Hruska’s mind, it’s simply the marquee event of 2018. “It’s the race of the year,” Hruska said. Hruska, who started Precision Turbo & Engine nearly 30 years ago, started his NHRA Pro Mod career a season ago, deciding to start driving after years of fielding a car and putting others drivers in it. That changed in 2017 and it also meant Hruska’s first time racing on Thunder Mountain, where he competed in the inaugural WSOPM event, falling to Shane Molinari in the opening round. Clint Satterfield might have lost in the first round of the inaugural DRAG ILLUSTRATED World Series of Pro Mod a season ago, and his 2018 NHRA Pro Mod season hasn’t gone according to plan thus far. But good luck convincing the Pro Mod veteran that the $100,000 check going to the 2018 winner of the WSOPM, which takes place Aug. 10-11 at Bandimere Speedway, won’t be coming home with him. It’s a brand-new “Turbo Pig” ’69 Camaro that Satterfield debuted this year, working with Larry Jeffers Race Cars and Xtreme Racing Engines by Carl Stevens, and Satterfield is anxious for its potential to be unleashed. It hasn’t happened yet, but Satterfield knows it is there and he has a little more than a month to figure it out before he makes the trek to Denver. He isn’t wasting any time, either, as Satterfield is spending this weekend at his hometown track in Albuquerque working on building boost in elevation. That is how serious he is taking the WSOPM, especially after believing he had a car capable of winning a season ago. He fell to Michael Biehle in the opening round, but Satterfield suffered a broken intake valve during the run, leaving him wondering what might have been. Big burnouts, a big payday and big excitement. If Stevie “Fast” Jackson had to sum up his thoughts and his plans for the DRAG ILLUSTRATED World Series of Pro Mod that would be it. 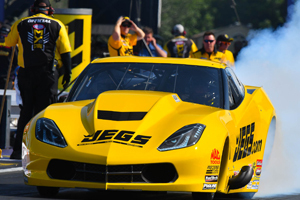 Yes, things have not gone according to plan the last two months on the NHRA Pro Mod circuit. But with a month to work until the biggest and richest Pro Mod race in the history of the known universe takes place on Aug. 10-11 at Bandimere Speedway, Jackson is daring you to bet against him at the $100,000 winner-take-all event. Just make sure you bring cash. Jackson may seem ripe for the taking at the moment. 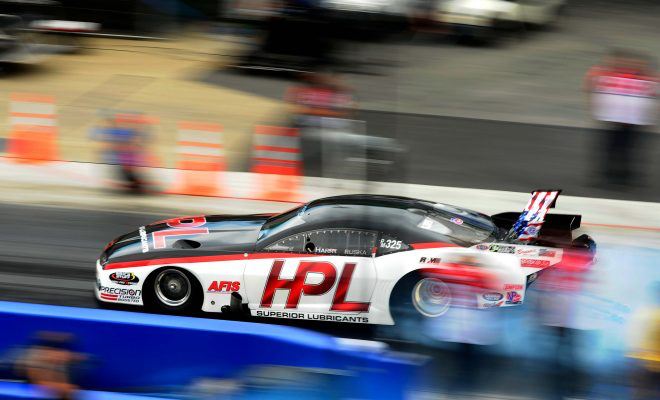 Since a crash at the finish line during the finals of the NHRA Pro Mod Four-Wide race in Charlotte in late April, it has been a struggle for one of the most popular and outspoken drivers in the sport. Jeremy Ray is decidedly old-school. From the “Carolina Kingpin” nickname on the side of his orange ’63 Corvette to his “own it, drive it, tune it” approach, Ray is a throwback to the Pro Mod drivers he grew up watching. 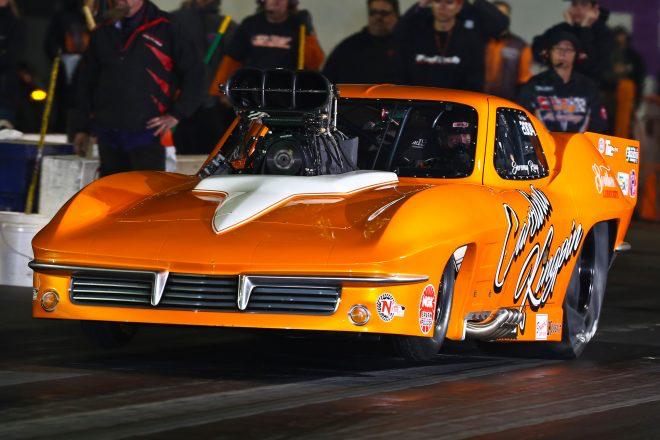 He lives close to Pro Mod legend Scotty Cannon, had his Corvette built by Tommy Mauney and wildly respects the approach of veteran standout drivers like Todd Tutterow and Rickie Smith. 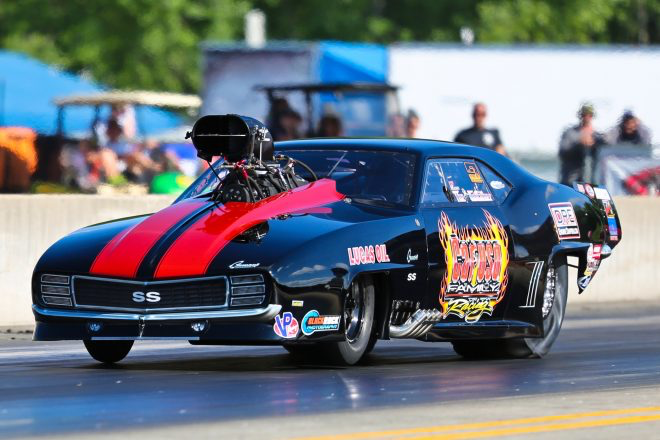 That old-school demeanor is also why Ray has his sights on competing at the DRAG ILLUSTRATED World Series of Pro Mod, which takes place Aug. 10-11 at Bandimere Speedway. 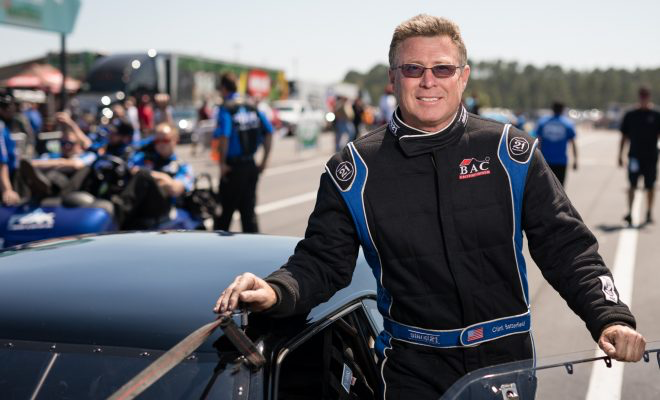 The South Carolina native has never raced at the Denver-area track, but taking on considerable challenges is what Ray considers one of the hallmarks of old-school Pro Mod racing. Racing on Thunder Mountain qualifies as a considerable challenge, so count Ray invested on trying to tackle it. The sponsor list for the second annual DRAG ILLUSTRATEDWorld Series of Pro Mod continues to grow, as race officials announced today that FuelTech USA has been added as a partner for the highly-anticipated event, which takes place Aug. 10-11 at Bandimere Speedway. 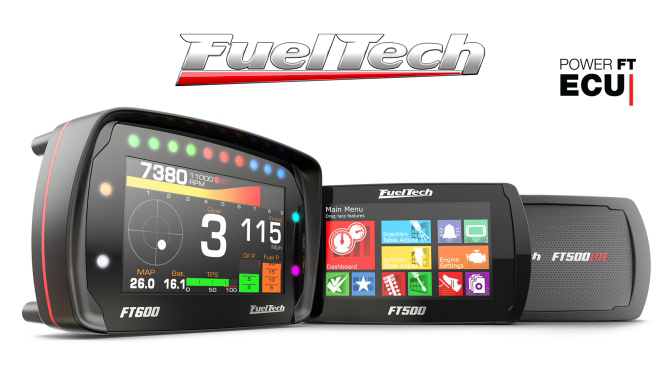 Specializing in developing and manufacturing state-of-the-art performance engine management systems, FuelTech USA is the company of choice for many top drivers who will be competing for the $100,000 prize at the WSOPM, including defending event winner Mike Bowman and other standouts Shane Molinari, Michael Biehle, Sidnei Frigo and Derek Menholt. “We’re very excited to sponsor and be a part of such a huge race for Pro Mod drivers,” FuelTech USA COO Matt Petka said. “This race goes hand-in-hand with a large part of our customer base. It was a big thrill to see Mike win it last year and we’re proud to have him as a customer running our FT600 EFI and FTSPARK-8 CDI ignition system this year when he goes to defend his championship! Todd Tutterow has had success in almost every situation in what has been a spectacular Pro Mod career. But when it comes to big-money, high-stakes races, Tutterow has been elite. He won the $50,000 North vs. South Big Dog Shootout in 2004 and was a runner-up two other years, oozing cool and thriving when others might wilt under the pressure. Now, he’s locked in on the $100,000 up for grabs at the DRAG ILLUSTRATED World Series of Pro Mod, accepting his invitation for the biggest and rich Pro Mod race in the history of the known universe on Aug. 10-11 at Bandimere Speedway. The bigger the stakes, the more excited “King Tutt” gets and it doesn’t get bigger than racing on Thunder Mountain for a six-figure payday. 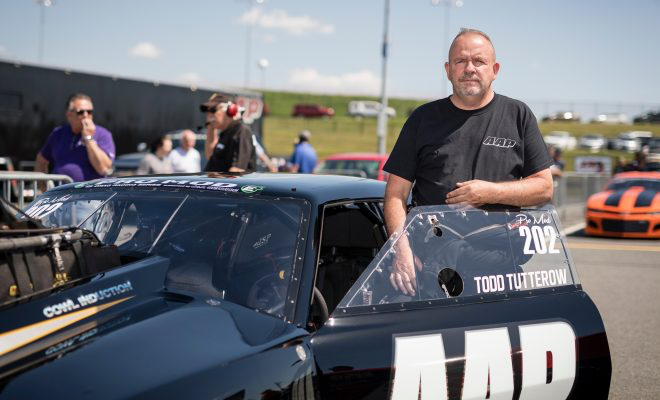 Tutterow is the latest marquee name to commit to an event that has captured the attention of the Pro Mod and racing world since the debut race a year ago. The talent pool is even deeper for the 2018 race, with everyone gunning for the $100,000 prize that Mike Bowman took home in 2017. Marc Caruso was being put on the spot, but his answer would have been the same regardless. The PDRA Pro Boost standout was formally invited to the DRAG ILLUSTRATED World Series of Pro Mod on Wes Buck’s weekly Facebook Live Show, creating a bit of breaking news in the process. But a live invitation can present plenty of possibilities. In this instance, though, Caruso already knew his answer. With that, you can count another big name for the biggest and richest Pro Mod race in the history of the known universe. It takes place Aug. 10-11 at Bandimere Speedway and Caruso now jumps into the mix of talented racers who will compete for the $100,000 prize. Caruso’s inclusion also presents an “all-star” element to the WSOPM, adding another top driver from outside the NHRA Pro Mod ranks. With a top name from the PDRA, as well as the list of stars from the NHRA Pro Mod ranks and others from other associations, it creates a diverse list of talent that Buck, the Drag Illustrated Founder and Editorial Director, believes takes the race to an entirely different level. Impressed with how the inaugural DRAG ILLUSTRATED World Series of Pro Mod went, MagnaFuel is back as a sponsor for the second year of the event, and it is bringing big-time Top Dragster and Top Sportsman purses with them. DRAG ILLUSTRATED officials announced today that MagnaFuel has been named the title sponsor for both the Top Sportsman and Top Dragster classes at their fast-approaching World Series of Pro Mod, which takes place Aug. 10-11 at Bandimere Speedway. The winners in both the MagnaFuel Pro Star 16 for Top Dragster and Quick Star 16 for Top Sportsman will receive $4,000, an impressive purse that has already gotten the attention of racers in both classes. Along with the $4,000-to-win purse, the entry fee for both classes is just $150, presenting a massive opportunity for racers to compete at a world-class event that is one of the most highly-anticipated in 2018. Chad Green didn’t care one bit about what he had heard about nitrous cars trying to compete at Bandimere Speedway. He had his DRAG ILLUSTRATED World Series of Pro Mod invitation in his hand and nothing was going to keep him from accepting. A year ago, while watching the inaugural event just outside of Denver, Green wondered how he could ever get opportunity to race in the $100,000 winner-take-all race. 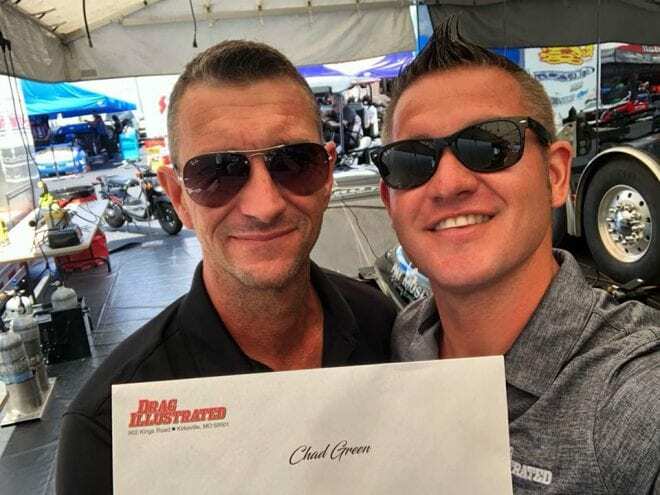 So when Drag Illustrated Founder and Editorial Director Wes Buck hand-delivered his WSOPM invitation at the NHRA race in Topeka, Green was blown away – and also had his answer ready. It’s the latest accomplishment in what has become a brilliant rookie season for Green, even after overcoming some significant adversity in his NHRA Pro Mod debut at Gainesville. He advanced to the semifinals in impressive fashion before disaster struck, crashing nose-first into the wall in his matchup against Mike Janis. How quickly Green bounced back has been just as remarkable, as Green got a new Camaro from Jerry Bickel Race Cars and didn’t miss a race. He qualified No. 1 and advanced to his first career final round before losing to Rickie Smith in Topeka, and currently sits fourth in points. Interested in participating in the Drag Illustrated World Series of Pro Mod? Need hotel or ticket information? Want to become a sponsor? 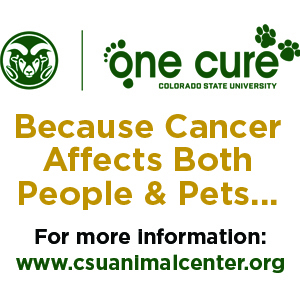 Reach out today! 2017 All Rights Reserved. Developed by Drag Illustrated Media, LLC.